Det finns många utflykter att göra i närområdet. Allt från ziplinesafari, träskbåtar, ballongfärder, hästridning och annat. Orange Blossom Balloons invites you to view Florida as you've never seen before. Get carried away in a Hot Air Balloon with Orange Blossom Balloons! Flights take place every morning at sunrise in the Disney area of Orlando, Florida. All flights include an hour flight over our beautiful countryside. Champagne Toast, full buffet breakfast and souvenir flight certificate included. Orlando's Premier Balloon Company Owner Operated since 1983. Embark upon a journey of uniqueness. Enjoy breathtaking views of the majestic everglades while floating in the sky and sending greetings to earthbound Orlando folks below. After landing, enjoy a continental breakfast and receive your Flight Certificate to commemorate. Imagine gently floating over the tropical lanscape of Central Florida while soaking in the warm morning sunshine and enjoying the spectacular view. You can see sites such as Disney World, Epcot Center, Hollywood Studio's and many other attractions, Beautiful Scenery and wildlife. Hot Air Balloon Flights operated by Thompson Aire are conducted 7 days a week at sunrise. Capt Thompson is the most experienced hot air balloon pilot in the Orlando area. Jeff has been licensed to fly balloons for over 35 years. Passionate about flying his entire life, his enthusiasm and knowledge will have you spellbound. Trevlig rundtur och gratis vinprpovning. Dock kan tilläggas att vinerna inte faller alla på läppen, väldigt lättdrucket och för mycket jordgubssaft enligt oss. Fifty thousand gallons of wine come out of Lakeridge each year -- it's Florida's largest. 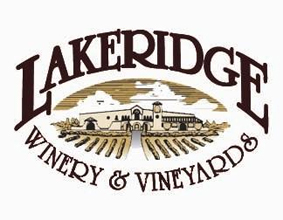 Lakeridge runs free tours and tastings all day long, every day of the week, every 20 minutes or so. You'll start off with a short film about the vineyard's history, then move on for a stellar view of the vines and wrap it up in the tasting room. The whole thing takes about 45 minutes. And of course, you can buy your favorite by the bottle -- or the case -- before you head out. 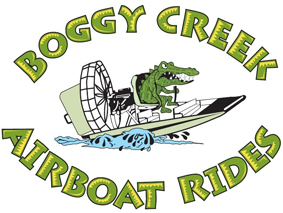 Margie and Chris Long started Boggy Creek Airboat Rides as the ORIGINAL airboat company in Central Florida with just one six-passenger airboat in 1994. At that time it was unheard of to stay in the Orlando area and take an airboat ride. The Florida Everglades in south Florida are known worldwide as the location to go out on an airboat tour. It took years of talking to journalists, travel agents and customers to open up the awareness that the headwaters to the Florida Everglades actually start right in Orlando. They were able to finally make visitors realize that with their few precious vacation days Boggy Creek's central location still gives them a chance to see the "Real Florida" only minutes from Orlando's attractions. Welcome to Aquatic Adventures Airboat Tours. Orlando areas best adventure ride. All Florida airboat excursions are not created equal. Book a reservation with AA Airboat Tours and see the professional difference. Captain Dave takes pride in his work and cares about his passengers. Dave explains the wildlife while you listen from aircraft style headsets and breeze across Lake Toho. All airboat tours are by reservation, so book your exciting adventure tour today! Make sure to take an exciting air boat ride on your Florida vacation! Imagine gliding through a beautiful natural paradise of swamps, marshes and incredible wildlife - just a short 30 minute ride from Orlando and Kissimmee. 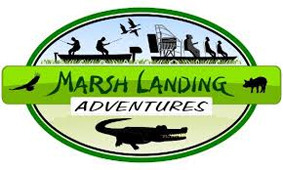 Orlando Airboat Tours is owned and operated by Marsh Landing Adventures and we offer the closest Airboat Tour and ECO Tour to all the Central Florida Attractions. We are a premier Airboat Tour on small 6 passenger private airboats that take you on an adventure into the headwaters of the Florida Everglades. Our fleet of airboats and captains are US Coast Guard approved and properly insured. You’ll see Florida alligators, wildlife of all kinds, many species of birds and beautiful flora. Our tours are narrated and introduce you to the types of wildlife you’ll see and the history of the area of the early settlers. 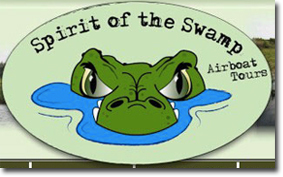 As these airboat tours are in a natural, living environment taking you through the swamp marsh and wet prairie they are not only educational, but fun and enjoyable. Let us take you on an unforgettable journey into Forever Florida, a 4700 acre eco-ranch and wildlife conservation area boasting beautifully untamed wilderness, natural streams, wetlands and dense cypress forests. The Rattlesnake, the first zipline roller coaster in the USA! 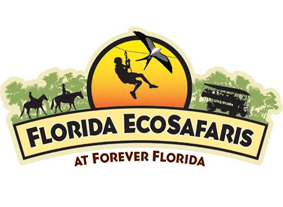 Or, kick back and relax on a coach Safari, saddle up for a fully guided Horseback Safari, soar over it all on Florida's biggest and All NewZipline Safari or pedal through the treetops on the Cypress Canopy Cycle !